Do you think you got what it takes to rise to the occasion when an opportunity presents itself? Is your mindset ready to cope with the pressure of decision-making? If that’s the case, Anik gives us a rundown of what is required of you to beat the system and spark your entrepreneurial spirit. Who Should Read “eSCAPE”? And Why? Well, in our opinion, this book should be labeled as the “Bible” for entrepreneurs. But, the main issue with this statement is that Anik doesn’t entirely agree with Google’s definition of entrepreneurship. So, it will be accurate to indicate that “eSCAPE” is prescribed for the wider audience, regardless of all the other factors and features. 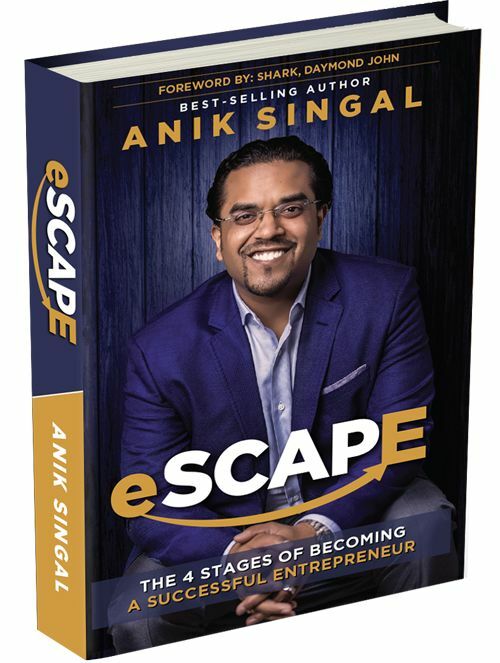 Anik Singal is a dreamer who made his dreams come true by constantly improving and challenging himself. Over the years he tried many things and realized that failure is nothing but an integral part of success. 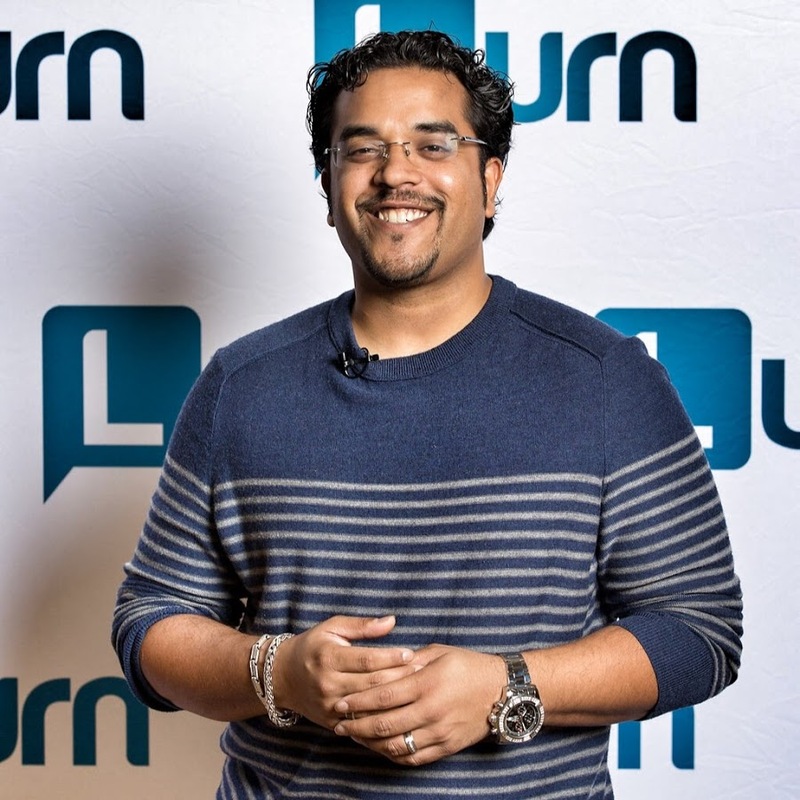 Currently, he is the CEO of Lurn Nation and a keynote speaker who inspires others to climb aboard. Many people still cannot capitalize on the opportunities that exist in the digital age. As much as want to oppose these influences, our minds are indoctrinated in a way that suffocates our innateness and creativity. According to Anik, the founder of Lurn Nation, the education system is designed to produce manpower, not entrepreneurs. In doing so, the society secretly lays the groundwork for creating a dependent workforce that can’t function alone (without a master). All those concepts fail to overshadow the rise of leadership and urge to build something from scratch. In this book, you’ll realize what it takes to go on your own, and nurture a mindset that allows you to do so. Intrapreneurship, as the term implies, refers to inciting creativity within an organization. Instead of starting a new business venture, the employee/manager chooses to scale up the company by initiating a new profitable procedure. The creation of PlayStation by Ken Kutaragi, one of Sony’s designers, is the perfect example. Behind his work desk, he hatched a plan and eventually end up creating the most brilliant video-gaming platform that is used by multiple generations. As you can see, inflaming the entrepreneurial spirit is our second-nature, but we are inclined to submit to the societal principles and norms. If you make up a list of all the people who tried their luck as entrepreneurs but failed to establish an independent and financially stable business, you’ll find something magnificent. Each and every one of them put the blame on lack of support, inadequate staff, lack of funding, wrong business models and so forth. From an impartial standpoint, these issues seem legit but are they really that credible? In this book, you’ll find what the term “Pivot” actually means, and why you should take full advantage of it! When things go South, you better change the course, because as Captain you need to steer the wheel, and not just pray for calm waters. Are you ready to take the next step? – If that’s the case, you better start asking the right questions! It doesn’t matter what you think of yourself, what does matter: Is it worth it for me to become an Entrepreneur? Is being an Entrepreneur challenging? Do I crave to plunge into entrepreneurial waters? How hard am I willing to push to reach the final goal? Is it something that I’ll regret by not doing? The execution of your strategy is similar to Weight-Lifting, the more you do it, the stronger you become. Don’t worry about mistakes, just remain focused and persistent in your goals. Evidently, stage one starts from within. It prompts you to analyze yourself and your ability to become an accountable person. The scatterbrained individuals are the ones who can’t seem to find the perfect balance because they are pinned down. Many strategies go up in smoke because managers aren’t able to anticipate the problem quickly enough and then pivot. Without a doubt, your mind reflects everything you are doing on the outside. So, embracing an internal shift is not only advisable but entirely necessary. This is where the cradle of entrepreneurship cracks or grows solid. According to entrepreneurs, this is the stage where most business collapse due to wrong strategies in terms of execution. If coping with pressure is not your strongest attribute, perhaps engaging in such a journey wouldn’t be a great idea. Building authority as a process has earmarks of a life-attitude reserved only for the most privileged ones. It reminds us that we don’t deserve to be in that company. If you intend to challenge these delusions, you should start by eradicating all the ideas that are forcing you to think negatively. Generally speaking, people with high self-esteem make a good first impression and instill a sense of authority wherever they go. Just so there are no confusions – they are not arrogant pricks who protect their position no matter what. Creating an aura of leadership is something you should crave for, and that’s the only route to becoming selfless and confident. Individuality is great, but doing everything alone is impossible. Your job is to assemble a group of qualified professionals that will help you move forward. Even the greatest idea cannot reach the implementation phase, without a skillful organization to back it up. In the meantime, you have to handle negative individuals and turn their skepticism into optimism. Anik draws on his personal experience and shares insights on how he managed to deal with health issues, debts, and personal crisis. To spice it up, he puts in the spotlight stories from other renowned experts to illustrate a point. 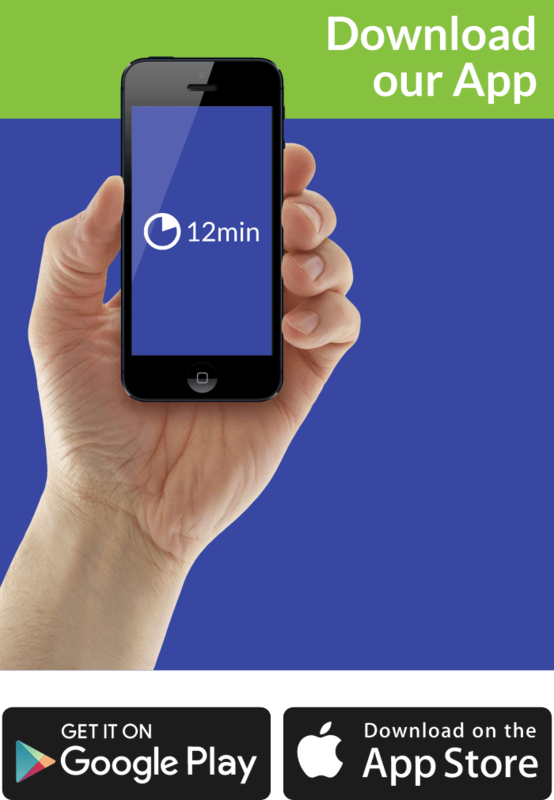 You won’t regret taking a few hours off and allocate that time to Anik Singal’s story.